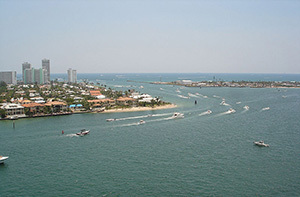 CasAmerica Marine’s supply chain, through its ship chandler partners, involves extensive communication to collect and consolidate orders, truck the orders to port, handle the onboard loading, while meeting tight docking schedules and navigating increasingly restrictive wharf-side security policies. 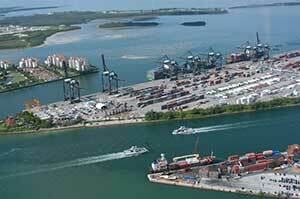 We supply the maritime industry through all major ports in the southeast region. Through our automated procurement platform for shipping companies, ShipServ’s electronic Ship Supply Management (eSSM), the supply process is efficient, leading to a significant reduction in lead time. (Mississippi) is the second largest city in Mississippi after the state capital Jackson. It is the larger of the two principal cities of the Gulfport-Biloxi, Mississippi Metropolitan Statistical Area, which is included in the Gulfport-Biloxi-Pascagoula, Mississippi Combined Statistical Area. As of the 2010 census, the city of Gulfport had a total population of 67,793. Gulfport is co-county seat with Biloxi of Harrison County, Mississippi. Gulfport is also home to the US Navy Atlantic Fleet Seabees. The Port of Savannah is a major U. S. seaport located at Savannah, Georgia. Its extensive facilities for oceangoing vessels line both sides of the Savannah River approximately 18 miles (29 km) from the Atlantic Ocean. Operated by the Georgia Ports Authority (GPA), the Port of Savannah competes primarily with the Port of Charleston in Charleston, South Carolina to the northeast, and the Port of Jacksonville in Jacksonville, Florida to the south. 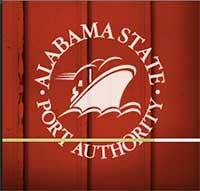 The GPA operates one other Atlantic seaport in Georgia, the Port of Brunswick, located at Brunswick, Georgia, as well as two interior ports linked to the Gulf of Mexico, Port Bainbridge and Port Columbus. The Port of Pensacola is an operational deep-water port located on Pensacola Bay. With origins dating back to 1743, it is now one of the City of Pensacola’s Enterprise Operations, having been incorporated in 1943 as the Municipal Port Authority. The present-day Port of Pensacola occupies approximately 50 acres of landfill at the southern terminus of Barracks Street in downtown Pensacola, on the site of the former Commendencia Street and Tarragona Street wharves. 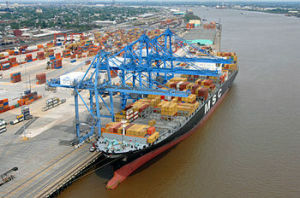 The Port has eight berths, 265,000 square feet of warehouse space, and on-dock rail service.